St. Stephen’s International School Khao Yai was established as the first boarding school in Thailand in 1995. Initially the school accepted only boarders, but over the years welcomed local students as well. With a diverse student body our boarders are able to share their cultures, ethos, experiences and ideas with their peers, which in turn broadens and deepens their learning experiences and provides opportunities to build lifelong friendships that could support them travelling around the world. Our school mission is to ‘Create Tomorrow’s Leaders Today’ and our boarding provision supports this very well. Students are expected to go ‘outside of their comfort zone’ in order to develop themselves and we inspire students to be the very best that they can be whether that is in their academic studies, in improving skills or in their personal development. The students are very supportive of eash other and learn and grow together in a warm, caring and secure community. 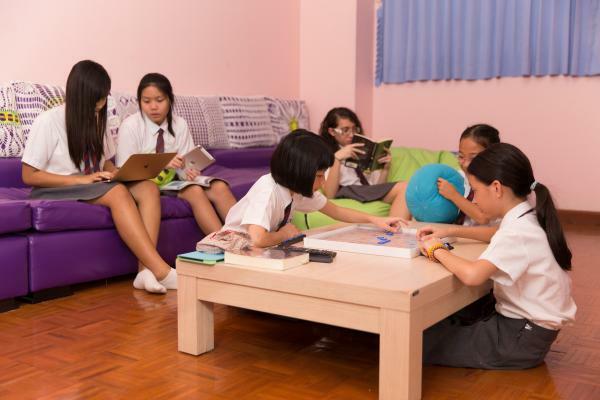 The boarding school provides a well-structured and organised environment that supports the students to become self-disciplined and increasingly independent. Students are happy and make the most of the many opportunities provided for them. Rooms are spacious, well-equipped and comfortable with two or three students sharing each room. Importantly, staff know the students extremely well and do their best to ensure that every boarder makes the most of their stay in the school.